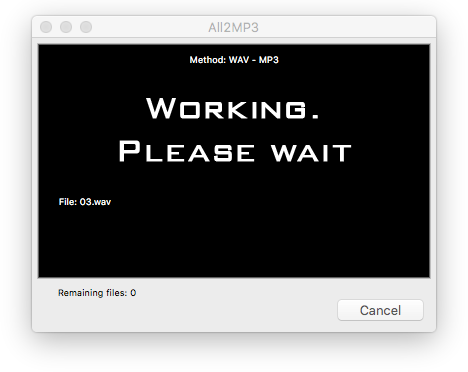 Audio conversion is always needed for digital audio processing and playback since, like forever. Windows users have so many choices out there: Audacity, Freemake, Total Audio Converter, Aiseesoft… and there are more. Many of them are free tools that provide high-quality audio conversion. But what about Mac audio Converter tools? Things are not the same for Mac users: Mac now accounts for over 9% of all computers in use worldwide, which is an enormous share, however, there are much fewer options for Mac users when it comes to audio conversion, the most frequent type of audio processing. Many users may have to get the job done by lowering their expectation while choose the tools. But we all know what that gets them and where that goes – lame audio quality accompanied with endless ads and even viruses sometimes. That’s why we are releasing this post to help Mac users get a clear idea of which tools are the best audio converter for Mac. We’ve tested and handpicked the products below from the most famous Mac audio converter apps so that you won’t need to search around looking for these tools. You will always benefit from audio with awesome quality so do not compromise on that if you need the converted audio in your business or you have high acoustic requirement. Here are tops ones we choose from most of the available audio converters for Mac, online and offline. Please read on to decide which one suits you more. 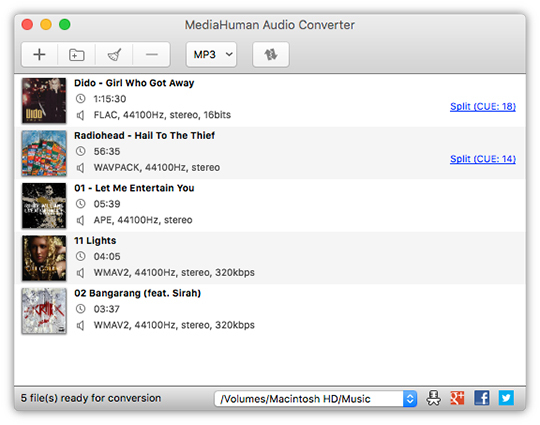 MediaHuman Audio Converter for Mac OS is able to convert audio files to various audio formats. Its interface is quite intuitive and the output audio files can be played smoothly on your devices. It supports batch conversion and there are some predefined profiles for the output format you choose. Cons: it’s a bit confusing to choose the output folder and you will have to do some digging. 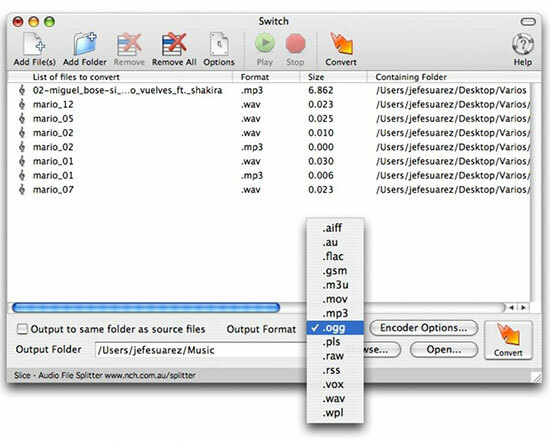 Switch is developed by NCH Software, which is a Mac audio converter for free. It can convert multiple audio formats to several popular audio formats and works really fast especially when dealing with large sized audio files (over than 600MB). The output quality can be highly compressed while maintaining a relatively good quality. Cons: sadly, it contains some annoying ads and it can’t be removed. 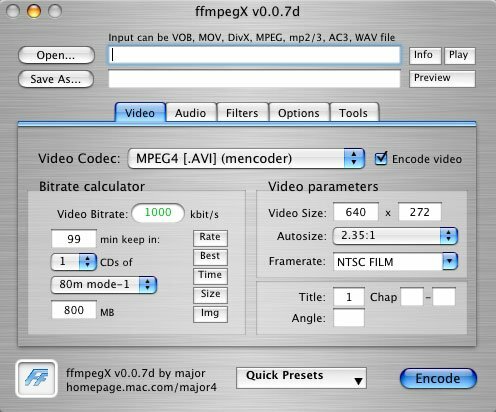 Maybe ffmpegX is the fastest audio encoder for Mac. It can convert almost any multimedia files including audio as well as video. It even provides a very basic media player to preview your files. It comes with abundant quality options and various features, doing much more than an audio converter. Cons: the interface of ffmpegX is undecorated, which makes it less delightful than its competitors. Meanwhile, it is not that simple to use – you better be experienced before you pick it up. 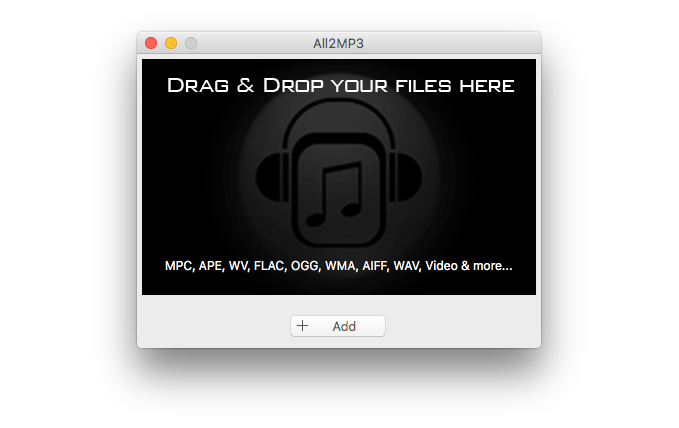 All2MP3 for Mac, like stated in its name, is an Mac audio converter developed for media formats to MP3 conversion. It can convert all audio formats and video formats to MP3 audio. It has a neat and fashionable interface. You can drag and drop your files to get started. It provides quality adjustment for MP3 output and the output locations can be easily determined. The compatibility and the conversion speed are two impressive features that may surprise you. Let’s see how it works. Use the above download button or go to our official site for All2MP3 for Mac download. After you get it installed and launched, open it and drag your audio files and drop them in the program Window. You can choose output quality level by dragging the slider of “Quality”. To make sure the converted files saved in the folder you want, use “Change all Paths” button. Click “Convert” and the conversion process will start in no time. 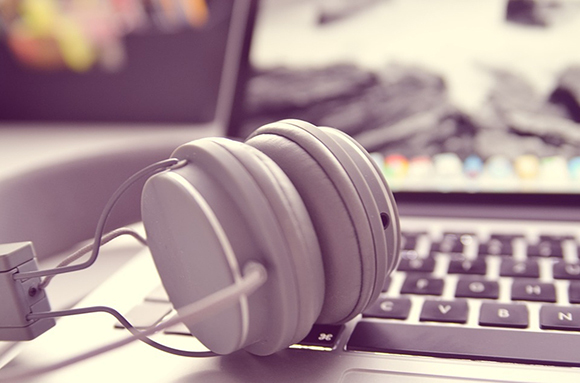 Check this page and you will get more details of how to convert audio to MP3 on Mac. It also provide a Windows version that provides even more features and output formats. If, for some reasons, you don’t want to install anything on your Mac, then we recommend using online audio converter service. Just type in “online audio converter” in google search bar and search. 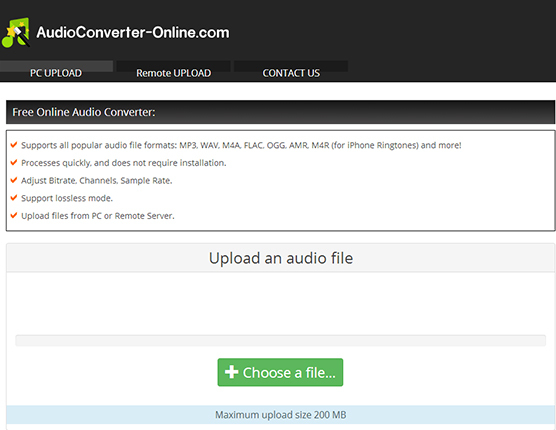 You will get a bunch of results like these two: http://online-audio-converter.com/ and http://audioconverter-online.com/. Usually you just need to upload the audio files, choose the conversion settings, wait for the conversion and finally download the files. But you should notice that almost all of them have various limitations and it requires time to upload and download the files, so it’s not really an efficient way to deal with large files.